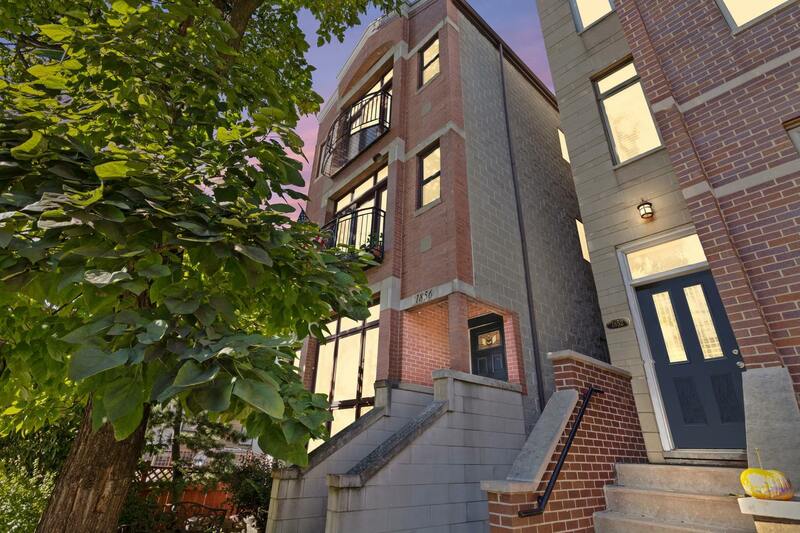 Come see this spacious well laid out 3 bedroom 2 1/2 bath duplex down condo in highly coveted Bucktown. This home is steps to all Bucktown has to offer; 3 blocks from metra train which will get you to the loop in 8 minutes, 5 blocks from the Blue Line, and a few short blocks to popular Pulaski International Baccalaureate Elementary School. Tall ceilings flood this home in light, two large family rooms, spacious Chefs&apos; kitchen, large master with walk-in closet, and central vacuum cleaning system. Other notables; Stainless steel high-end appliances including wolf stove, 60" side by side refridgerator, beverage center, granite counter tops with full granite back splash, custom cabinets, master bathroom with separate shower, double bowl vanity, and jaccuzi, tones of light in lower level, custom floors, deck for grilling, two wood burning fire places, new water heater, new HVAC, and much more. This home is approximately 2,400 square feet.